4WD Systems has developed a range of Hi-Flow Mandrel bent Exhaust Kits for Turbo Diesel 4WD vehicles. 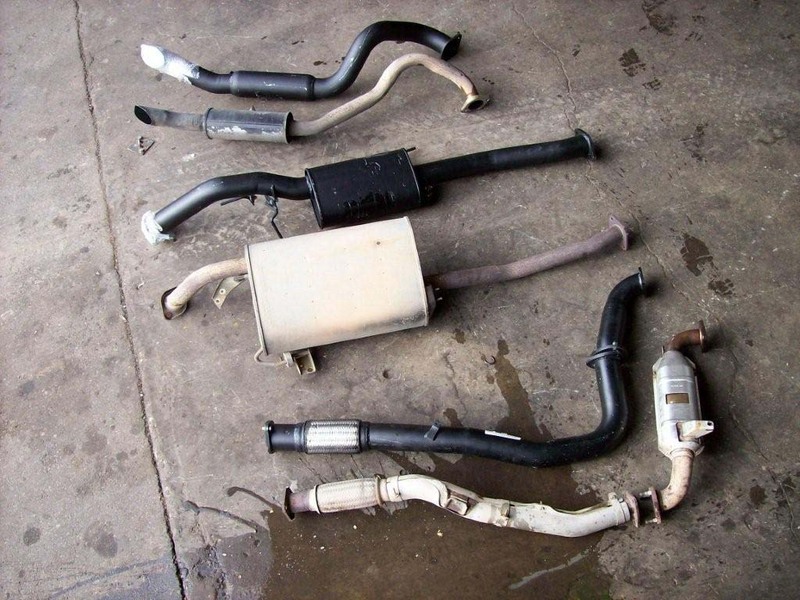 They are complete systems with dump pipe, flex joint and hi-flow muffler. They mount to the original mounting points and are as quiet as the factory system. They can be fitted to the standard vehicle for improved fuel economy, greater torque or combined with an Intercooler Kit +/or Power Chip for the ultimate in performance and economy. Complete 3.0″ Mandrel bent Hi-Flow Exhaust Kit, including dump pipe, replaces the complete exhaust, from the back of the turbo to the rear bumper (unless otherwise specified). Single hi-flow muffler. Mounts to the original mounting points so its a simple fitting job for the DIY handyman. 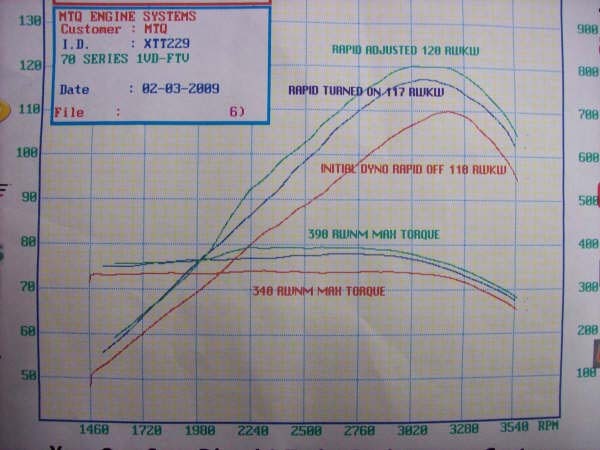 Hi-Flow exhausts improve to fuel economy (10%+) as the turbo spools up much earlier in the RPM range, so brings the torque on earlier.... equates to improved efficiency. The turbine spins earlier due to the greater space for the hot exhaust gases to expand into. The hot gases expand as they cool (opposite of compressing them). The hotter the gases (more fuel load) or the larger the space (bigger exhaust pipe, limitation is some back pressure is required, except if its a Comp vehicle!) the more rapidly those gases expand. Its the expansion of the gases that make the turbo spin .... as they rush past the turbine into the greater space of the larger exhaust. If you're after lower down torgue for 4WDing, better towing and safer overtaking on-road with improved economy the Hi-flow exhaust kit will make a world of difference. 3 Year Warranty. 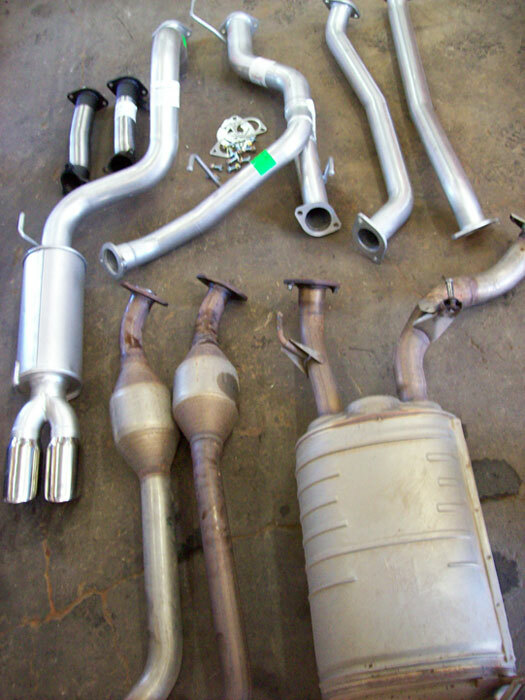 4WD Systems has a large range of exhaust systems in Aluminiumised Mild Steel or Stainless Steel. For Stainless Steel systems there is an increase in cost for no performance gain. If you do a lot of beach driving it maybe worth it from a longevity point of view, but otherwise there is no advantage. Mild systems will last decades for the average use of a 4WD vehicle. 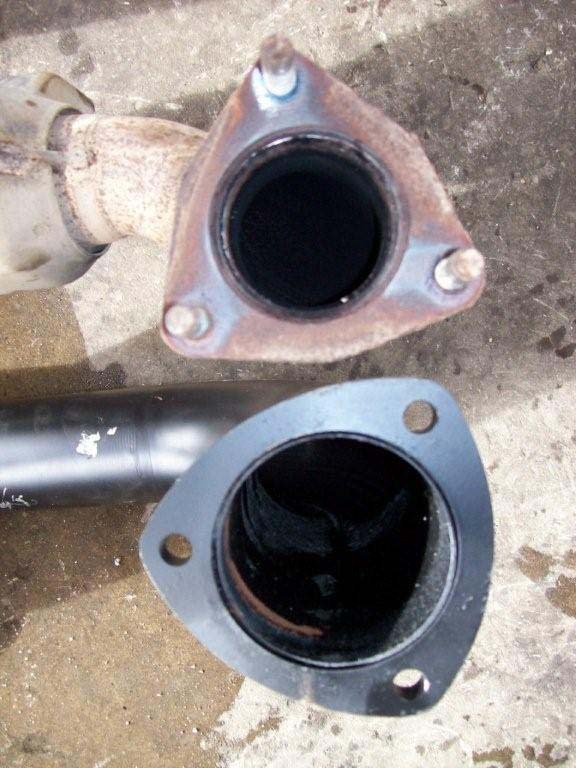 Most modern 4WD vehicles are turbo diesel and have improved performance with replacement of the restricted OE dump pipe with a Hi-Flow performance dump pipe. Available in diameters matched to engine capacity and characteristics, in aluminiumised mild steel and stainless steel. DIY fit with gaskets, fasteners etc. Available for Diesel and Gasoline engines.